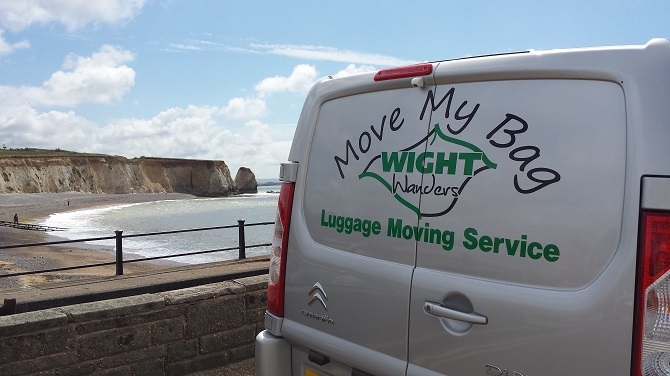 An Isle of Wight based luggage moving solution that is reliable and secure. Starting from less than £6 per bag we offer a quality and value for money service. Your luggage is our business and we treat it if it where our own. At all times the security and safety of your luggage is our priority. If you are preparing to visit the Isle of Wight for a cycling holiday or walking holiday then you have already made a fantastic choice. If you have chosen your route from some of the 500 miles of sign posted footpaths, cycle ways and bridleways and selected your places to stay in some of the fabulous guest houses and hotels on the Island then your almost there. However, if you want to relax on your holiday and want the freedom to enjoy the amazing scenery of the Isle of Wight without being weighed down by your luggage as you move from one place to the next then give us a call and let us take the strain.